A professional, FDA cleared anti-aging medical device that provides immediate improvements with long lasting results on face & body. This technology perfectly combines dermal heat energy and advanced targeted, preset-integrated fractional light energy to safely reach and treat multiple skin layers. Renelif Advanced is clinically tested and recommended by dermatologists as an anti-aging device. It may be used virtually on any area of the skin. The fractional light and heat are precisely combined; resulting in stimulated collagen production, reduction in appearance of fine lines and wrinkles and with improvement in overall skin texture. The result is improved skin texture and tone with drastically reduced wrinkles, fine lines and pore size. The key to youthfulness in the palm of your hands. Activate your warranty by registering your product within 10 days of purchase. Renelif Advanced includes a lifetime limited warranty. What an amazing product! I’m rating this device with 5 stars because it is worth it. Can’t explain everything good about it. Just try it yourself and thank me later! Good one! Admittedly, I had bought many skin care devices before I came across renelif advanced which I threw away after wasting my time waiting for results which were not coming by. These products promised everything but delivered nothing. But renelif from avologi is different, it worked even better than expected. Thanks avologi and keep it up! It is hard to find a product that can brighten your skin without bleaching. But renelif advanced does exactly that. After using this state of the art gadget for three weeks, my skin has become tighter, lighter and more toned. Love it more. I have come across various products but none of them is comparable to Renelif Advanced. Its benefits are simply amazing and are also long term. Its treatment is easy and simple. It also gives the applicant an easy time during application; I actually apply it as I watch my TV. The device can not only be used on the face but also on other areas such as neck. Its energy emission is only when it gets into contact with the skin hence you don’t require any safety goggles during application. My skin is usually affected by sun exposure. The spots were so evident on my skin after spending my vacation in a beach resort. My friend informed me about this device and because I trust him, I decide to buy it without fearing the higher price tag. I can’t complain of the price because what it did to my skin is incomparable with the value of the amount I parted away with it. What a joy to find a device that really works as expected! My sister is so cost sensitive. She wanted an anti aging device but was so reluctant to spend extra dollars on extra accessories that always accompanies such devices. When she informed me about it, I was like don’t you worry my dear, Renelif Advanced comes to your rescue and the outcome shall be adorable. She never incurred any extra cost since no additional accessories are required when using this device. Renelif advanced is a friend to both of us and we can’t stay without the device. Fellow ladies, injections and facial surgeries should not be in our mind and preference any longer. Instead of these, I went for Renelif Advanced, gave it a trial and I was unable to calculate the benefits I got. I turned out a teen and everybody loved the impacts you get from Renelif Advanced. My skin was terribly disappointing. It was filled with spots all over. I decided to use Renelif Advanced in order to see what it would bear. The results were unbelievable, extremely good!! The spots were completely gone and they are no more. I regret why I never met this product before. I had wasted a lot of my time and money buying products that never delivered results. This device game me the results I wanted within three weeks. Excellent!!! When I thought that I should have a change on treatments that consumes my time and energy through bookings which I did over quite a long period, I consulted a friend who informed me of how Renelif Advanced was always at her comfort since she used it while at home. I decided to go her way. I can tell you that it was in fact the best one. I am now happy about it and can never watch my close ones do the bookings, I divert them to Renelif Advanced. What a good thing! Imagine from the time I bought this device, I have never felt the need to go for those injections I used to go for at my dermatologist clinic. I’m now living an injections-free life thanks to the efficiency of renelif advanced. I’m a skin care expert and whenever someone asks me about an anti-aging device that is tested clinically and have got a recommendation from dermatologists, I don’t think twice. We have been using renelif advanced together with my wife for two years and the improvements we got are amazing. 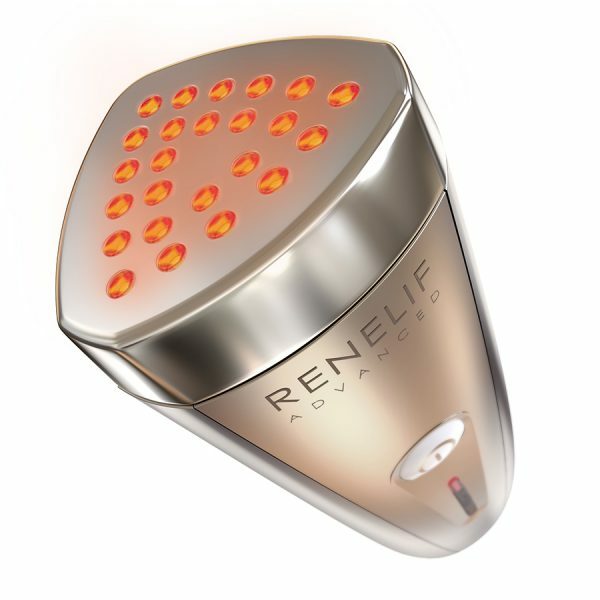 Renelif Advanced device is professionally tested and recommended by dermatologists. So, don’t ever fear using it. Great! Great! I can’t explain what renelif advanced have done for me here. But I can say that I now have a much better skin than I had two months before I started using it. This device is simply awesome! Struggling to look younger when you are above 60 isn’t a simple thing. Admittedly, I have tried countless skin care products which are always annoying at the end. But wait until I met his device. My struggles came to an end. All my annoying fine lines and wrinkles are gone! I’m a happy woman now. I was actively looking for an immediate impacting anti-aging device for my skin since I got scared of my quickly aging skin. I’m approaching my 60’s. My wrinkling skin was highly bothering until I used Renelif Advanced. The outcome was amazing, instant and non-regrettable. 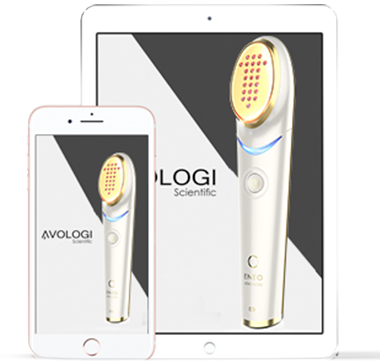 Thanks to avologi for bringing such an amazing solution to us. My husband is so careful when it comes to matters relating my skin health. When I discussed with him my mind of finding an anti aging product for my skin, he promised to look for me a product that is not only efficient but also elegant. When he left the next day, he came back with good news, he got me Renelif Advanced. After application, the results turned so amazing that we got so proud of them. I can’t stop using the product. Admittedly, I am a sucker for prestigious skin care devices. I had tried many electronic gadgets before but when I bought the renelif advanced, I noticed a remarkable difference. After using this lovely device for the first two weeks, the Renelif advanced has crossed over from being a prestigious device to a necessity in my everyday life. It makes me feel so good and relaxed after using it. Can’t live without it anymore! I bought this skin care device with tons of mixed feelings. I wasn’t sure whether it was worth spending more than $1000 on such a device. After I read many reviews about the device online, I said to myself “Let me try this and see how it goes” Here I’m now, after four weeks of use. I can confidently confess without fear of contradiction that Renelief advanced is a winner! My skin tone has improved so much even my workmates are wondering how I achieved this. Nowadays, we politicians are like models or movie stars. Due to our public jobs, we have to maintain our skins in case of any media briefing and press conferences. 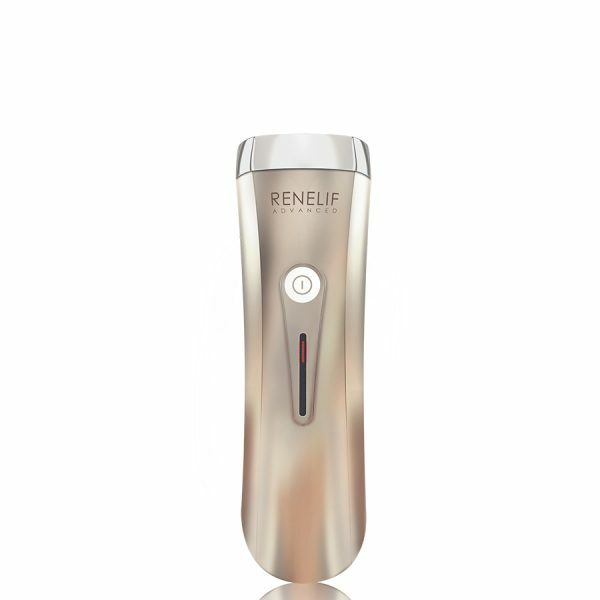 I am a 53-year old male and my 25-year old personal assistant referred me to the Renelif advanced device. She used to be a stylist before becoming my assistant and her recommendation was spot on. Not only is this device relaxing to use but it keeps my skin in tip top condition for public appearances. Good job Avologi. I must confess that I bought renelif advanced based purely on faith from the many reviews I had read online. I was looking for an efficient way to enhance the tone of my skin, and up to this point, I didn’t know of any person who had used the product successfully. Renelif advanced have really worked for me much better than I thought. I will certainly use for the remaining part of my life. I have always had great skin but the problem is; whenever I go for swimming my skin usually takes a beating. The chlorine reacts badly with my skin and the next morning my skin dries up and starts cracking. This has been a problem I have dealt with since I was a kid but after buying this Renelif device, I have averted this problem. I use it to treat my skin after every swimming session to ensure my skin retains its youthful glow. I first came across the Renelif Advanced on an online beauty forum and it spiked my interest. It is later when I heard my colleague talk about it in the office that I decided to do more research on it and then buy it. I have used it for two and a half months now and I can say that it is the best luxury product I have bought in recent times. My skin has been glowing ever since I started using it. I work as a doctor at a large hospital. I love my job but sometimes I am subjected to work long hours while other times I am forced to work grave yard shifts. It can be tiresome sometimes and the area under my eyes suffered the most. If it was not for the Renelif Classic, the black lines and saggy bags under my eyes could have gotten worse. I purchased this device barely two days ago and so far I am seeing positive results. Thank you Avologi for manufacturing such a magnificent device. I had struggled with wrinkles which appeared on my forehead for a couple of years. I had tried many skin care products including anti-aging creams, but none gave a significant improvement. Luckily, I met Renelif advanced in an avologi store and decided to buy it. After four weeks of use, all the wrinkles are completely gone….Thanks, avologi. What an amazing technology! 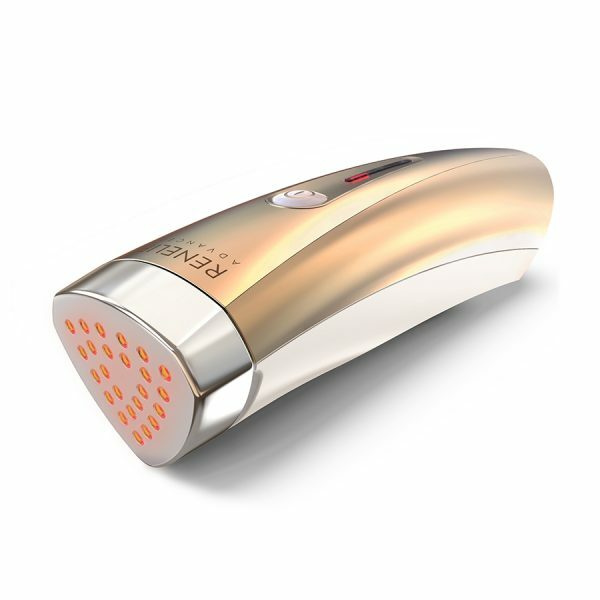 This fancy looking device only operates when in contact with my skin delivering excellent results without any hassle. I therefore find the beautiful gadget as very safe and easy to use since I don’t need any additional safety measures. Everyone who see this device gets attracted by its stunning look! I love it! Kudos Renelif advanced for the amazing work you’ve done to my facial skin! I got hooked by the alluring look of the device. I can now treat my skin from the comfort of my home by use the decorative device. I have found this charming device to be convenient, reliable, and cost effective since I don’t spend more money to pay for skin care appointments and injections. I have been using creams and other beautification products but none seemed to be working for me. My skin is super sensitive and reacts differently to beauty products. But after seeing a dermatologist, she told me to keep away from chemical solutions and stick to either organic and non-chemical solutions and that is when I decided to try out the Renelif Advanced from one of the Avologi stores. One year down the line and I don’t regret the decision one bit. RENELIF Advanced is simply incredible! I find it effortless to use while its results are instant. My sister and I have been using the device for two years now, and the benefits we’ve gained from it have prompted us to become its ambassadors. Three of our buddies have joined the crew and like every bit of their experience with the beauty equipment. I was introduced to this classy-looking device by my sister who lives in Canada. I had wrinkles around my eyes which had disturbed me for so long. I had used many skin care products including creams and gels but they didn’t give any noticeable changes. What Renelif did to me in 8 weeks was amazing. Even my colleagues can’t believe that I didn’t go for corrective surgery!